NYC Immigration Lawyers, Naturalization, Green Cards, Deportation Defense, Brooklyn, New York - How Do I Replace My Permanent Resident Card (Green Card)? 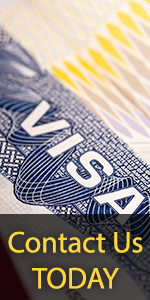 » How Do I Replace My Permanent Resident Card (Green Card)? · You never received the previous card that was issued to you by the USCIS. Section 264 of the Immigration and Nationality Act provides that, "Every alien in the United States … shall be issued a certificate of alien registration or an alien registration receipt card in such form and manner and at such time as shall be prescribed under regulations...." It also states, "Every alien, eighteen years of age and over, shall at all times carry with him and have in his personal possession any certificate of alien registration or alien registration receipt card issued to him.... Any alien who fails to comply with [these] provisions shall be guilty of a misdemeanor" and may be subject to fine and/or imprisonment upon each conviction. The specific requirements and procedures for applying to replace a permanent resident card are included in the Code of Federal Regulations [CFR] at 8 CFR § 264.5. Please note: If you are a conditional resident and your status is expiring, these instructions do not pertain to you. You are to use USCIS Form I-751 (Petition to Remove the Conditions on Residence) to apply to remove the conditions on your permanent resident status. If you are a permanent resident, who needs to replace your card, or conditional resident who needs to replace your two-year card, for any of the reasons listed above, you may apply for a replacement card by filing a USCIS Form I-90. A Form I-90 can be downloaded from this site, or ordered by calling the USCIS Forms request line at 1 (800) 870-3676, or by submitting a request on-line here. After receiving Form I-90, read it carefully. Detailed information is provided in the instructions for Form I-90. Applicants may also file Form I-90 on-line using an Internet connection. Please see Introduction to E-Filing. If you have immigration-related questions, you may call the USCIS National Customer Service Center (NCSCS) at 1-800-375-5283. You should be prepared to provide the USCIS staff with specific information about your application, such as your receipt number, your Alien Registration Number, name, and date of birth. Or, you may check the status of your application online at Case Status Online. Please remember that an E-Filed receipt number may not be available through Case Status Online for 72 hours.